It's Spring Break for the Rangers, and the first time since they received their Power Coins that the Rangers will be apart. 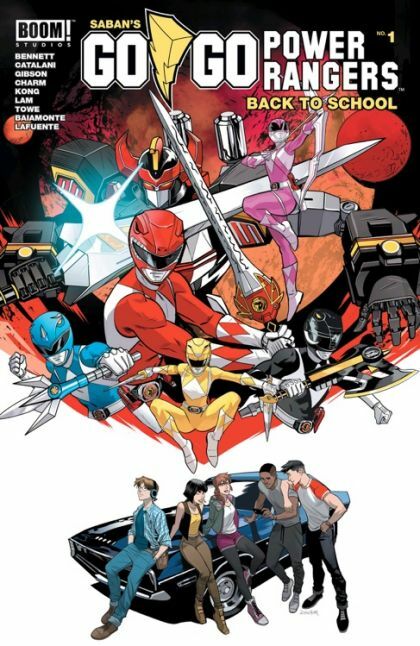 As they each embark on their own week-long vacation, these teenagers with attitude discover that being a hero doesn't always mean having to morph! Award-nominated Marguerite Bennett (Batwoman, Animosity) teams up with fan-favorite artists Jim Towe (Youngblood), Derek Charm (Star Wars: Adventures, Powerpuff Girls), Jordan Gibson (The Amazing Spider-Man), Xiao Tong Kong (Adventure Time Comics) and Ilaria Catalani (Rugrats: R is for Reptar) to present a new look at the Power Rangers.